As you may know, we are a crew chock-full of Kansas City expats with a huge affinity for KC BBQ. Well, we just wrapped up an awesome campaign with VML and the state of Tennessee Tourism and we have to admit that Memphis, its BBQ and its people now hold a special place in our heart. Let us explain. OutCold collaborated with VML and Tennessee Tourism to share the sights, sounds and smells of Memphis with the great people of Chicago. Each morning at 6AM, we put on our sous-chef hats and provided our mental support to the incredibly talented, kind and humble crew of Corky's BBQ as they prepped thousands of servings of ribs per day. 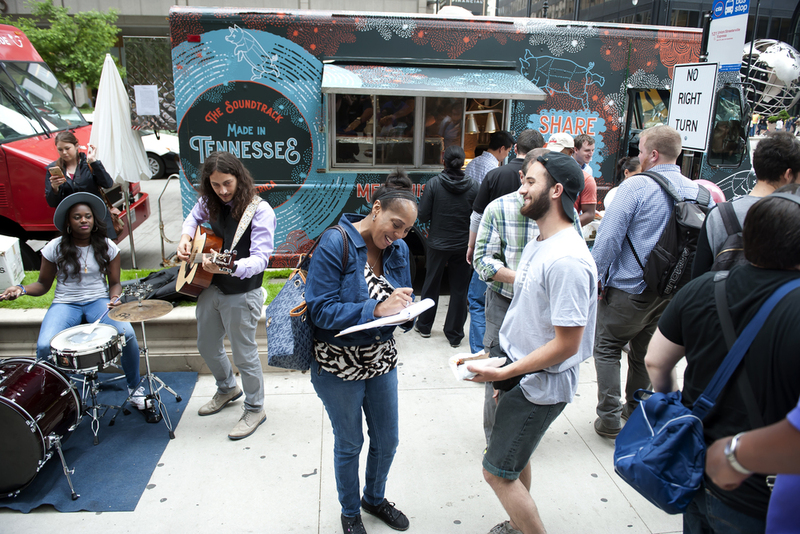 We then loaded up the food truck to bring the delicious taste of Tennessee BBQ to the fine folks in the Chicago loop. Hungry lunch-goers approached our awesomely-designed food truck to munch on ribs, listen to insane blues beats from Southern Avenue Band and chat about Memphis with the awesome event hosts. Have a look-see. 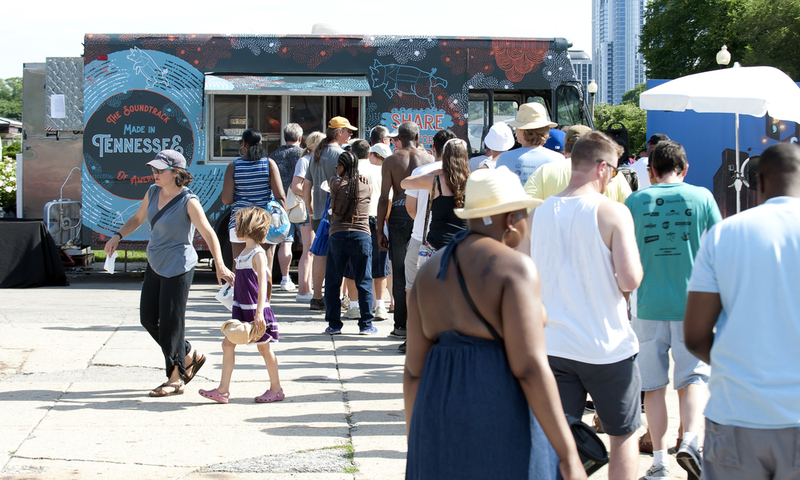 Next, we drove this big boy into the heart of Chicago's annual Blues Festival in Grant Park. For three days, guests watched live cooking demonstrations, tasted the delicious Corky's flair and snapped photos in front of a Beale Street backdrop. It. Was. Awesome. HOT. But awesome. Not only did we get to play a part in telling this Tennessee story to Chicago locals, but we also met some awesome people, made some amazing new friends and hung out with some incredible friends that we hadn't seen in ages. Basically, we had an absolute blast. And that's what it's all about, right? Here are a few of the incredibly talented people who brought it all together and told the story so perfectly. Let's just say we'll be making a trip to Tennessee in the very near future. See you soon ya'll!